The National Youth Service Corps (NYSC) has released details of Online registration for 2017 Batch ‘B’ corps members. According to the timetable released by the scheme, the online registration for foreign and locally trained graduates, begins 24th October. It also noted that prospective corps members will be able to print their call-up letters from Nov 13. The Scheme, did not however state when the orientation course will begin. 1.) Prospective Corps members should ensure that they have functional e-mail addresses that they can access and Nigerian (GSM) telephone numbers with which to register. 3.) For locally-trained graduates, only those whose names appear in the Senate/Academic Board Approved Result lists submitted by their Institutions will have access to the register on the NYSC portal. 4.) Foreign-trained prospective corps members should ensure that their Institutions are accredited. Where in doubt, it is their responsibility to approach Federal Ministry of Education for verification. The letter of verification must be uploaded during registration. 1.) West African School Certificate (WASC) (with not less than 5 Credits at 2 sittings) or its equivalent; or General Certificate of Education (GCE O’ Level) (with not less than 5 Credits at 2 sittings) or its equivalent; or NECO (with not less than 5 Credits at 2 sittings) or its equivalent; or High School Diploma or its equivalent. 2.) First Degree or Higher National Diploma (HND) Certificate (Second Degree or Ph.D not necessary). 3.) Transcript of the first Degree or HND. 4.) International travelling Passport showing data page and date of departure for the course of study. 6.) It is the responsibility of the prospective corps members who studied in non-English speaking countries to get their Certificates and Transcripts translated into English language before uploading. 7.) All graduates of Medicine, Veterinary Medicine, Physiotheraphy, Radiology, Optometry, Medical Laboratory Science and Pharmacy are expected to have their Certificates of Registration with their professional bodies. Payment receipts are not acceptable. 8.) Unlike in the past, Foreign-trained graduates should NOT visit NYSC Headquarters, Abuja for verification of their documents. This exercise will now be done at the Orientation Camps. They should simply print their call-up letters on-line and report at the Orientation camps in their States of deployment, but should come to the camp with the original documents they uploaded for verification. 9.) Anybody who presents any fake document will be demobilized and decamped. 3.) Ensure the Photo background is white or off-white with no shadow. 11.) On no account should prospective corps members register by PROXY. They should also remember the fingers used for their biometric capturing as these will be used for verification at the orientation camps. Those who cannot be verified with their biometric at the orientation camp will not be registered. 12.) Only prospective corps members who want their call-up numbers sent to them through SMS and wish to PRINT their call-up letters on-line are expected to pay (see NYSC Portal on how to make payment). 13.) 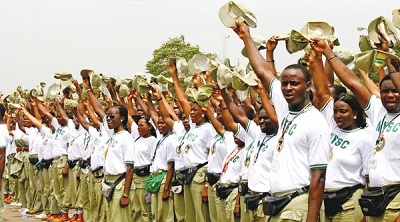 Prospective Corps members, who do not want to pay, have the option of going to their schools to collect their call-up numbers and call-up letters. 14.) All prospective corps members who paid for the online registration before but were not mobilized need not pay again. 15.) Married female prospective corps members (whether locally or foreign-trained) should upload copies of their marriage Certificates, evidence of Change of name and their husbands’ place of domicile during registration. 16.) The orientation camp is highly not ideal for pregnant and nursing mothers. Prospective corps members in this category are therefore to note that they will not be accommodated. What ever question you have kindly leave in the comment box! !